A day after the hacking of Rahul's Twitter account, the official Twitter account of Indian National Congress was also hacked today. 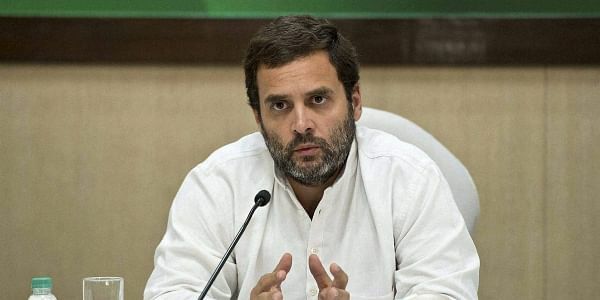 NEW DELHI: Congress vice-president Rahul Gandhi today dissuaded his party MPs from raising in Parliament the hacking of his Twitter account saying "we should not blow up such issue", according to Mallikarjun Kharge. "We wanted to raise this issue. But when we discussed it with Rahul-ji, he said Parliament should not be used for raising the purpose. He said we should not blow up such issue if any person commits such insensible act," Kharge, who is Leader of Congress in the Lok Sabha, told reporters outside Parliament.